With the help of PLDT Enterprise and the Provincial Bus Operators Association of the Philippines (PBOAP), the long commute to and from provincial destinations will be made more bearable with a strong WiFi connection that gives commuters so many more options than just sleeping. With the recently formalized partnership between PLDT Enterprise and BOAP, select buses plying provincial routes now offer free WiFi capable of connecting roughly 45 mobile devices at a time with speeds of up to 42/Mbps. This gives passengers on long bus trips the ability to browse the internet, check emails or dab in social media on their devices. “We at PLDT Enterprise are heeding the Government’s call to help modernize public transportation. By providing improved WiFi connectivity, we are improving passengers’ daily commute by giving them more options to become productive with their smartphones even while on the road, through our newest wireless broadband solution Smart Biz LTE,” explains Jovy Hernandez, SVP & Head of PLDT Enterprise. 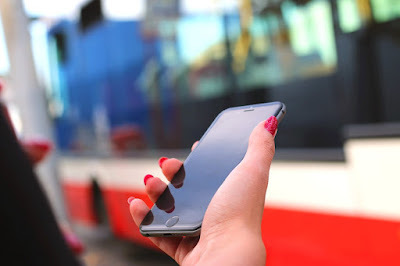 Aside from providing free WiFi connection, the special package for bus companies comes with a Smart Tracker that can monitor the status of traffic, the consumption of gas, and bus speed on the road. A Smart Cam which is also included in the package enables companies to monitor actual bus routes to ensure the safety of both their drivers and their passengers.